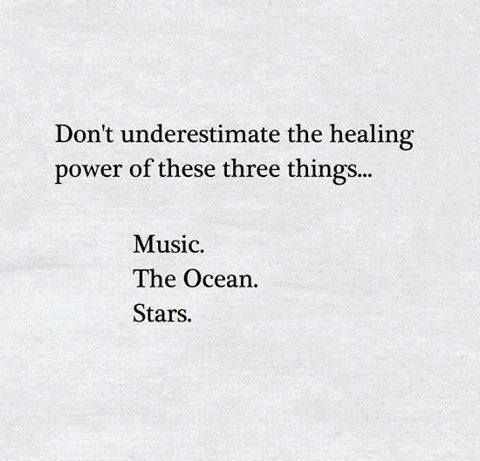 I have to admit the star trend, when it hit a few years back, never really grabbed me personally. There were some lovely pieces to be found, especially the Simply Be star print maxi dress, but it just wasn't for me. There's a similar trend appearing and I find myself falling ever so hard for it. 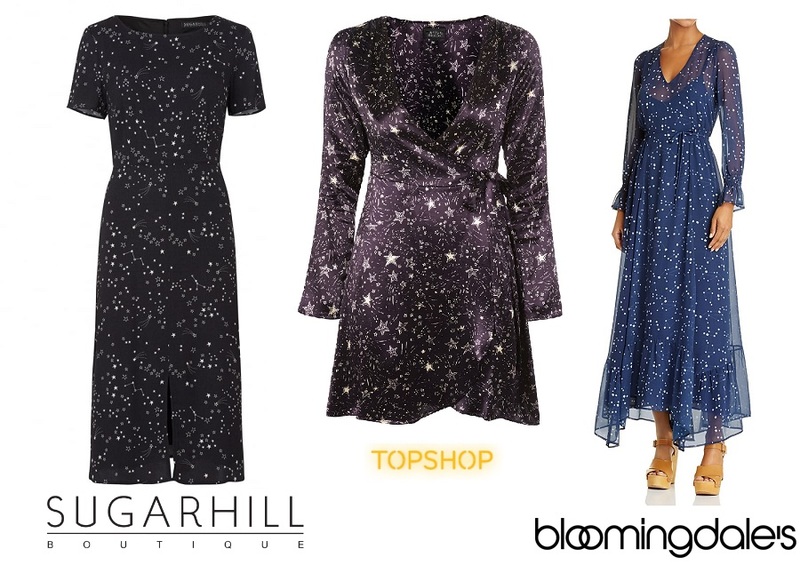 Building on a base of star print, we're seeing a new trend emerge in the form of Constellation Print and I am so ready for it! How better to remind ourselves to look to the stars a little more than wearing a celestial print? Whereas this is a print beginning to appear now, I've a feeling we might see it a lot more on the high street when the winter styles hit the rails - at least I hope we do! I recently came across some constellation / celestial prints that made my fashion heart flutter. 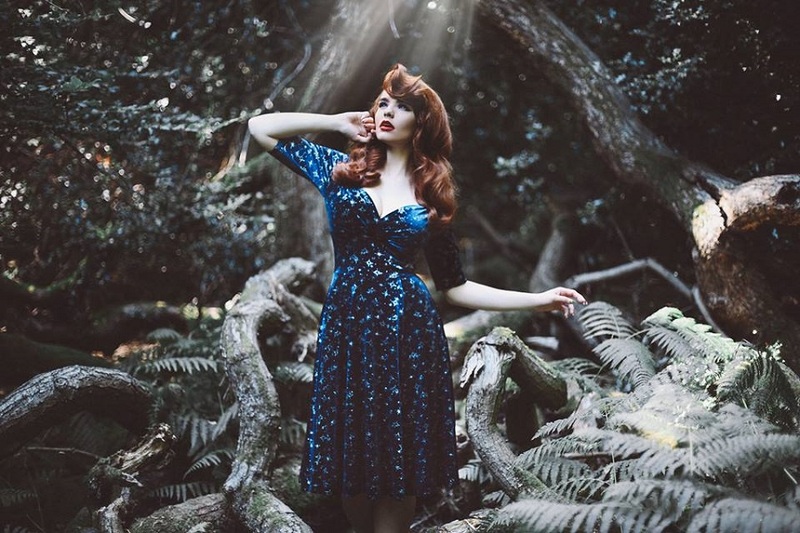 The first that drew a real-life gasp was the Celestial Dress that is coming in October from Collectif London. Blue velvet, with a print to inspire the dreamer in us, I am incredibly excited for this drop. Keep an eye on the Collectif London Facebook Page to be the first to know when this lands online. They are hoping for the first week in October so consider this fair warning - I think it will be a fast sell out. Reports so far online are that the mesh printed dress above is navy, not black as it appears in the pictures, but is very much worth investing in. The inner slip is roomy and is not attached to the mesh itself meaning you could switch up slips, I'd recommend gold and silver for the party season - you know it's coming! 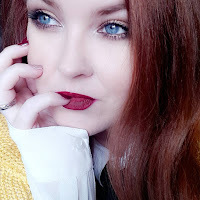 This is just the beginning of a print trend, I think we'll start seeing a lot more constellation print clothing being released in the run up to the party season and I am LIVING for it! 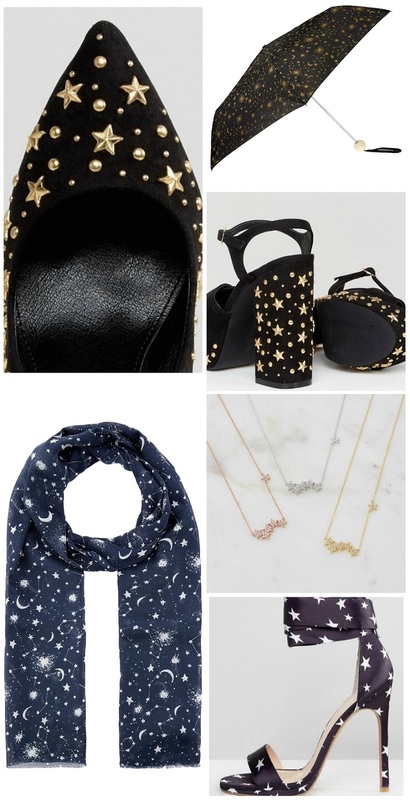 Should you not want to go full cosmic just yet, you can always incorporate your love for the stars into your outfit using accessories, whether it's shoes, jewellery or scarves, there's something for every star crossed lover out there. Much as though star print has been big in recent years, I'm very much enjoying the expansion on the celestial theme with constellation print coming in to play. At a time when we are all looking more to the stars, what better time to add a little dreaminess to your style than now.